Leanne Carroll, Minjung Kim, and Jiya Seo from the MFA IxD Class of 2020 work on their final project for their first semester: a box that plays relaxing, meditative sounds when you place your phone on top of it. It's a reward for putting your phone down. 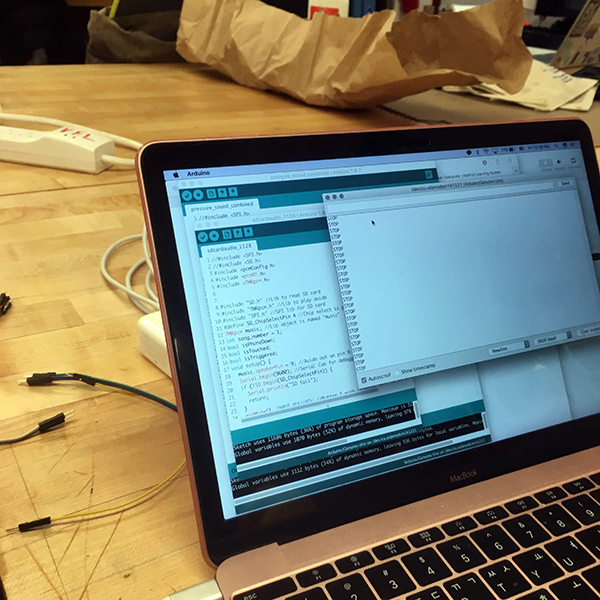 To make it, they are mastering Arduino, electronics, and the laser cutter!